You guys, Will is on an editing frenzy… Like a can’t stop, won’t stop type of frenzy. We’re in the midst of Christmas card season, wedding season, and just generally a busy season of life, but Will has been amazing at keeping up with everything. Now that I’ve given Will a proper shout-out, on to the wonderful, amazing, awesomeness that is Debbie and Manan! Ya’ll… My head is still spinning from the fact that I can’t believe how lucky Will and I were to be able to shoot Debbie and Manan’s wedding day. 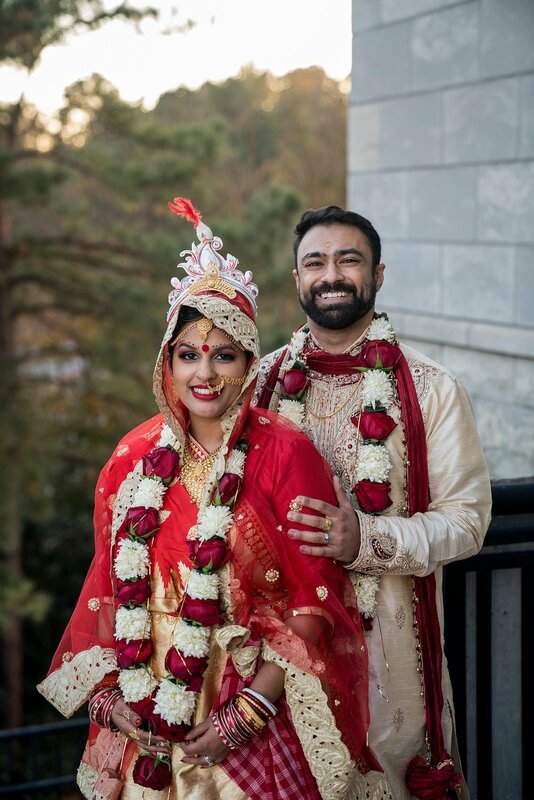 We officially met Debbie and Manan at another of our favorite couple’s July wedding and were able to get to know them even better at their August engagement session. If you remember their engagement session, it was one of the most fun and unique sessions we’ve ever shot and we just knew their wedding would be the same. It was absolutely fun from the time we arrived until the moment we walked out the doors to head home. 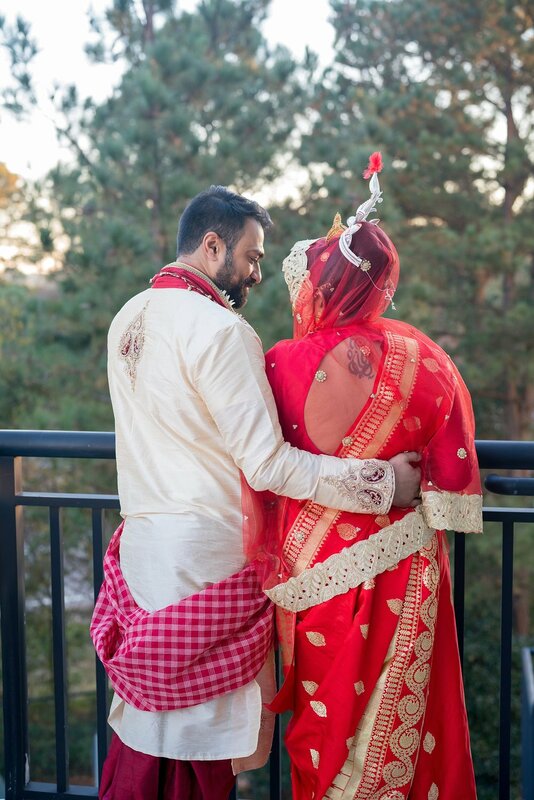 The wedding day timeline didn’t go as seamlessly as planned, but Debbie and Manan were the perfect couple to go with the flow. They were laid back when Manan’s bharrat route was uncertain, and they had such a great attitude when we pulled them away from their reception for a few more shots of just the two of them. They took the time to explain various rituals that were unfamiliar to Will and me and did so with a smile and enthusiasm. So many beautiful details were planned and incorporated into the day. 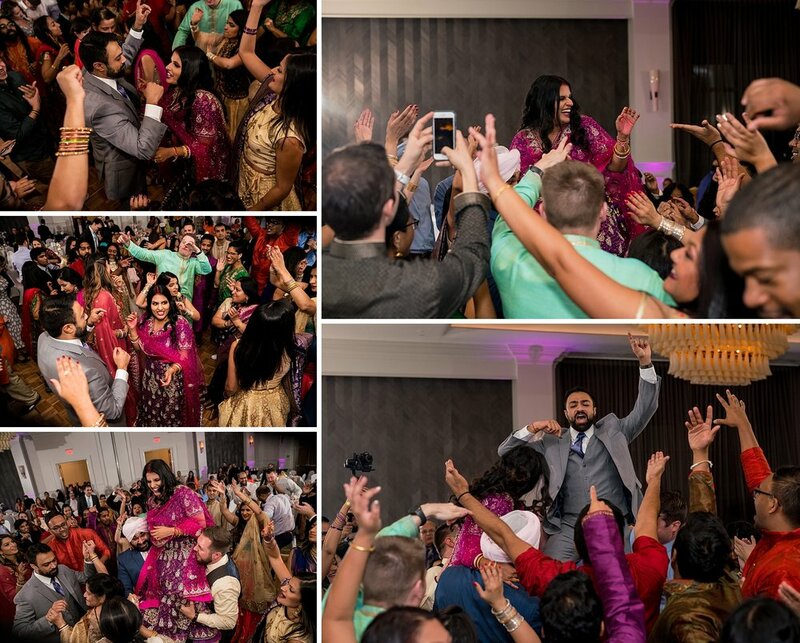 We love that not only was the day fun for the Debbie, Manan, and their bridal parties but they made sure that their guests were able to enjoy themselves just as much. Guests were served so much good food (cocktail hour food alone was better than most wedding meals we’ve seen) and treated to two performances early on in the night. Their DJs knew exactly how to keep the party rocking and the two performances were definitely the highlight of the evening. 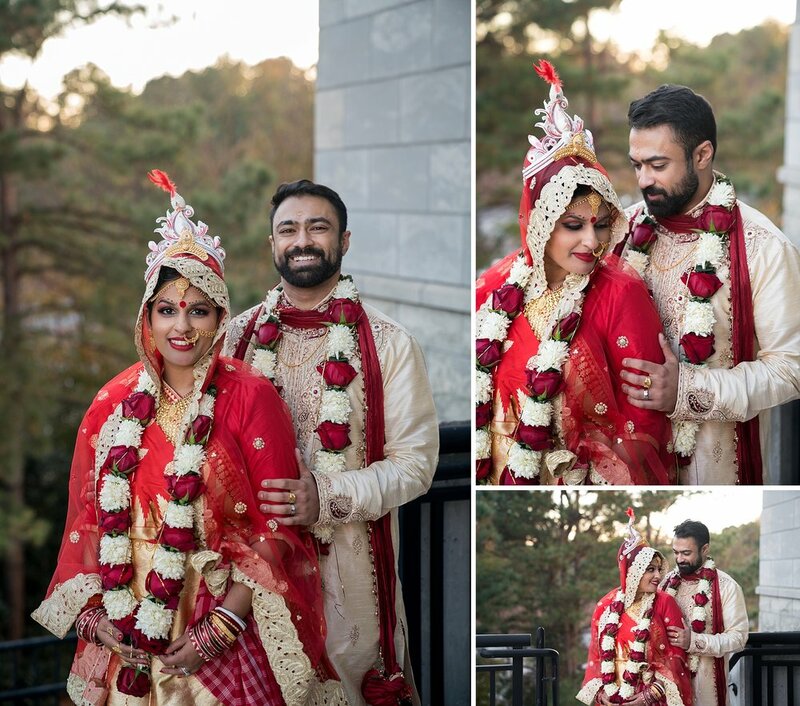 We hope you guys will enjoy these preview photos from Debbie and Manan’s perfect day. 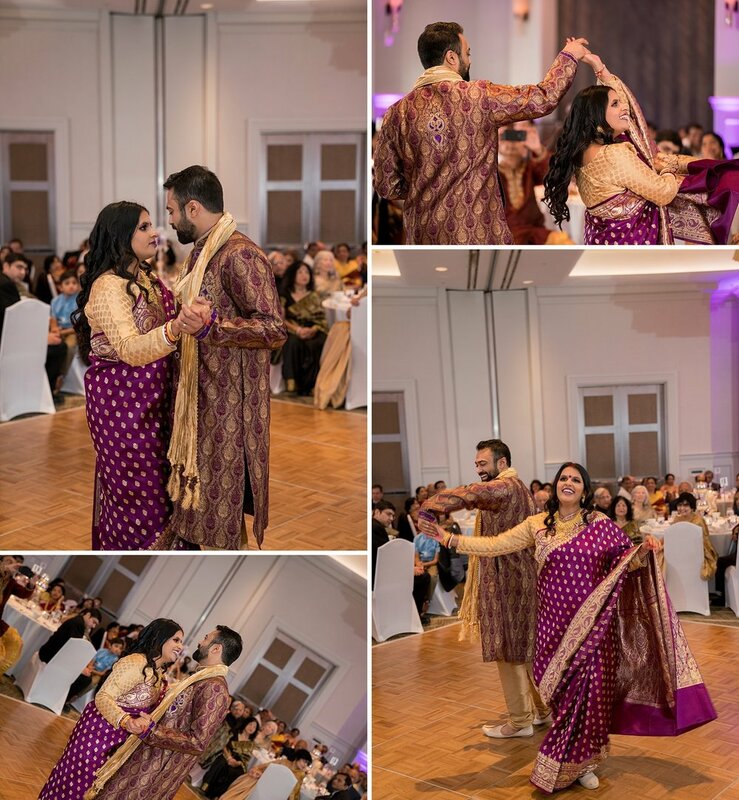 From the colorful attire, beautiful jewelry, picture perfect unique ceremony, crowd full of guests ready to dance and celebrate, and insanely photogenic couple, it’s easy to see why our job was easy to capture beautiful photos. Enjoy!